This mythological and idyllic ‘Garden of Eden’ is a million miles from the ordinary as every aspect is carefully designed to offer a unique sensory journey reflecting upon the magnificent beauty of the Seychelles. 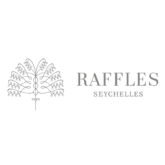 Loved by everyone with an adventurous spirit and an eclectic taste for only the very best, the Raffles Seychelles sits tucked away on the hidden coastline of Anse Takamakas. 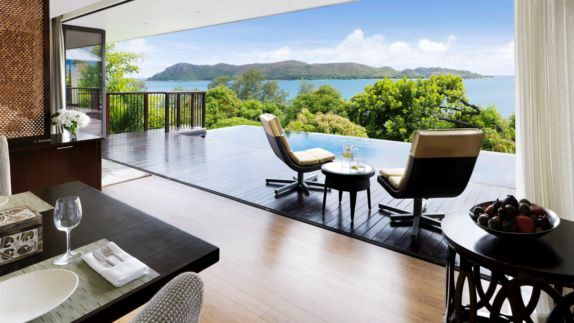 Amidst surroundings of lush green tropical rainforests, bordering on dramatic granite boulders and showcasing spectacular views of the blue ocean, the Raffles is sure to calm the spirit and awaken your senses. Where is the resort located? How can I get there? 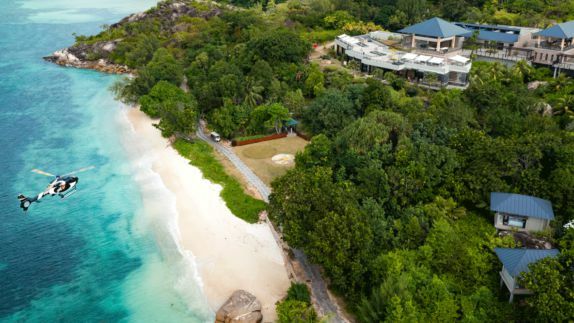 Nestled amidst lush greenery in blissful seclusion, the Raffles Seychelles is located on the esteemed shores of Anse Takamaka where unrivaled beaches, pristine shores and paradise’s most unique offerings await you. 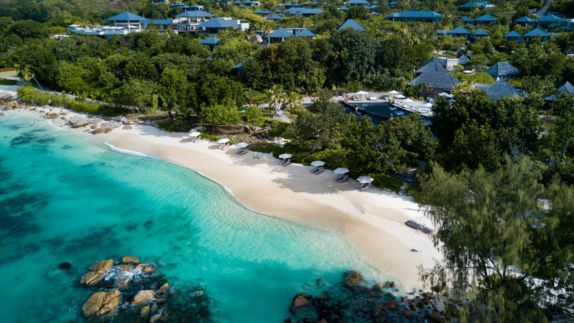 Discover the soft white sand beach and crystalline azure sea gems merely a stone throw from your private accommodation, which spoils you with breathtaking views of the Indian Ocean. What types of villas can I choose from? 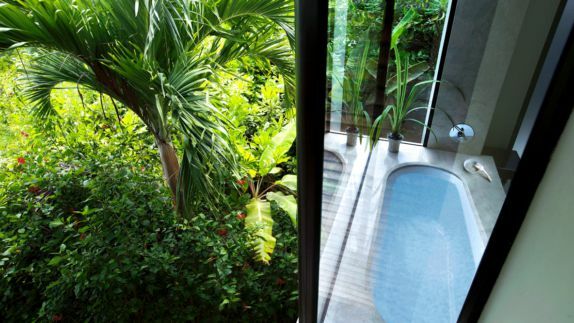 Will I have an outdoor shower? An oasis of calm and comfort, the gentle slopes of stunning granite formation, opal-hied oceans and lush green hills come together to create an intimate residential charm in the ideal place to rediscover the opulence of spontaneity. 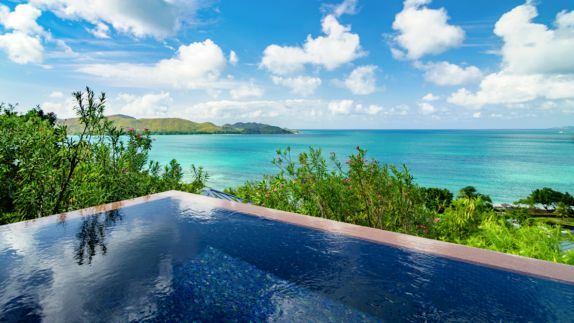 The Seychellois spirit is infused in each of the villas, magnificently built perched upon gentle slopes offering front row seats to exquisite views of the glistening Indian horizon. 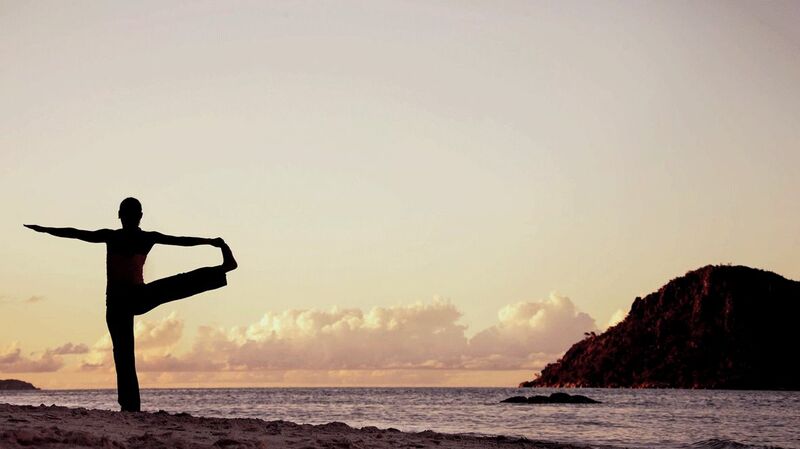 Will I be able to keep up with my Yoga routine? How big is the pool? Treatment pavilions not only enable professional therapists to ease away your day to day stress with every soothing touch, but also manage to offer guests award winning views from the serenity of the private treatment pavilions. 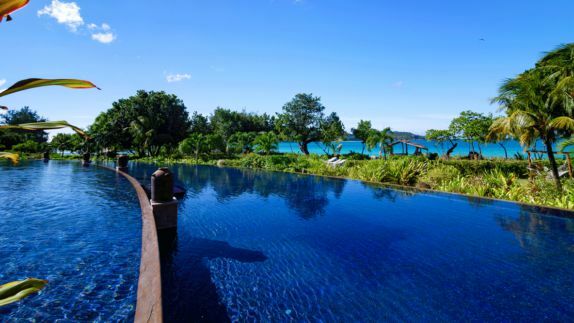 Featuring not one but two magnificent infinity pools overlooking unparalleled views of the ocean, white sandy beaches and dramatic gentle boulders, guests are sure to find true bliss. What kinds of dishes await me? 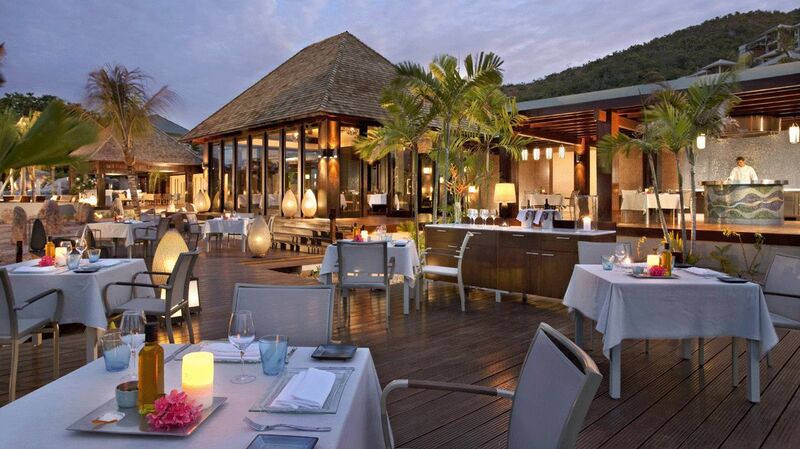 Can I enjoy a nice dinner in the comfort of my villa? 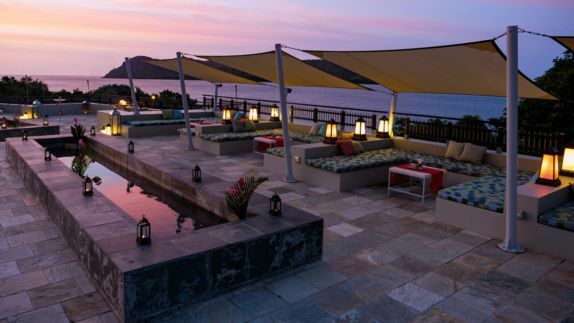 Delight in colorfully themed seafood dishes and after relish in a vibrant show of rosé colored sunsets. As the stars come out to put on a twinkling show each evening, couples enjoy meeting for cosmopolitan cocktails in romantic themed seclusion. An expansive portfolio of luxurious restaurants and serene lounges within the resort combined with an island-chic setting come together to create the perfect dining experience. What kind of adventures await me? 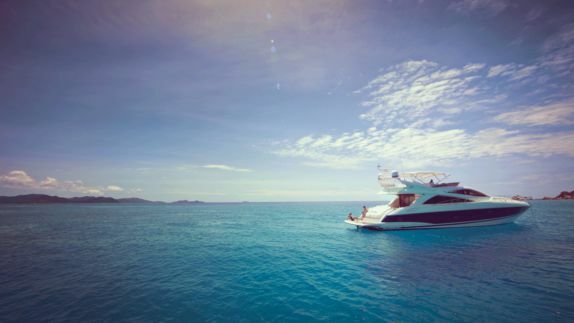 Where is the best spot to go snorkeling? Whether you are swimming, sunbathing, snorkeling, strolling along the white sandy beaches or simply doing nothing at all, this slice of paradise allows you to cherish every moment – no matter the activity. Explore your senses and reconnect with yourself and nature as the Raffles Seychelles creates the perfect space to escape everyday life.